Children’s Hospital of Georgia officials will hold a dedication ceremony for the new outdoor fountain for patients and families at 10 a.m. Tuesday, Sept. 22, in the front circle at CHOG. 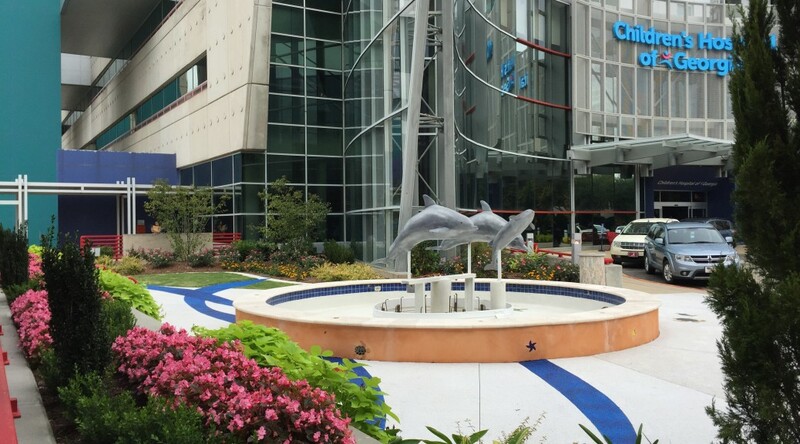 The project – which includes sculpted dolphins hovering above the water – was funded through a $250,000 portion of the donations from Children’s Miracle Network Hospitals partners Walmart and Sam’s Club. Special guests will include patients, families and representatives from these two major CHOG supporters. Walmart and Sam’s Club stores sell Miracle Balloons, take donations at the register and hold bake sales, contests and other events to raise money for CHOG each year during their CMN Hospitals campaigns. The idea for the fountain came about from a dying child’s desire to play outdoors with his dog during his last days. Light refreshments will be served at the event, and all are welcome to attend. 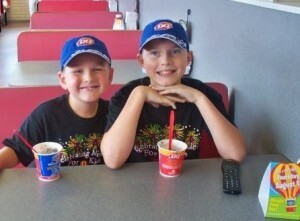 Hunter Piper, right, enjoys a Blizzard at DQ on Miracle Treat Day in 2010. Hunter Piper was told he had just two weeks to live when he was in second grade. This Saturday, the 17-year-old high school senior is collecting donations of games, crafts, movies, toys and other items for the Children’s Hospital of Georgia, where he received his cancer treatments. Watch the full story on wfxg.com. GRHealth has earned a Patient-Centric Imaging Award from Health Imaging magazine for its makeover of the pediatric imaging suite at the Children’s Hospital of Georgia. The awards, developed in conjunction with the American College of Radiology, reinforce the importance of patient engagement in health care delivery and honor radiology groups for using imaging to improve quality and patient outcomes. This is the second award for GRHealth – the first was earned in 2013 for patient care advances in the Breast Health Center. “We are thrilled to be recognized again by Health Imaging for our efforts in improving the patient experience in radiology. But, by far, the most rewarding part is seeing the children smiling and laughing while they’re here. It’s like they are disappointed when they have to leave.” said Dr. James V. Rawson, chair of the Department of Radiology and Imaging at the Medical College of Georgia at Georgia Regents University. A pioneer in Patient- and Family-Centered Care, GRHealth has long recognized the importance of including patients and families in the planning process. In fact, the Children’s Hospital of Georgia, which opened in 1998, was one of the first GRHealth projects designed with explicit input of patients and families, and CHOG was twice recognized with design awards from Modern Healthcare Magazine and the American Institute of Architects Academy. 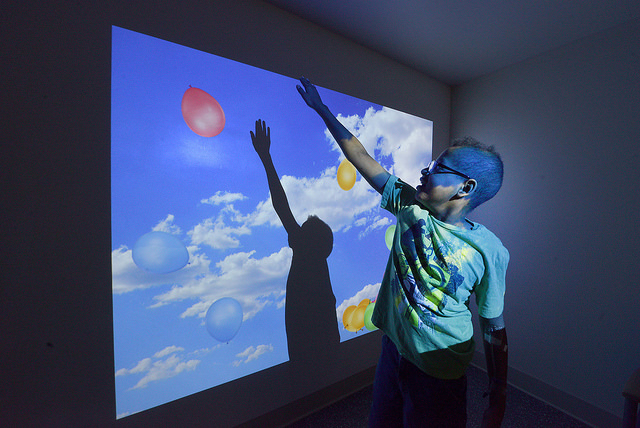 This interactive wall in the main patient lounge in pediatric imaging allows children to set things in motion, like these balloons floating through the air. The improvements included converting the traditional waiting rooms into patient lounges, the first of which is the main waiting area, which was transformed with soft lighting, comfortable chairs and the installation of an interactive video wall. As patients and siblings reach for the objects on a giant wall screen, corn kernels “pop” into popcorn, waves ripple across a puddle, bubbles float through the air, or any of about 80 other scenarios are set in motion. 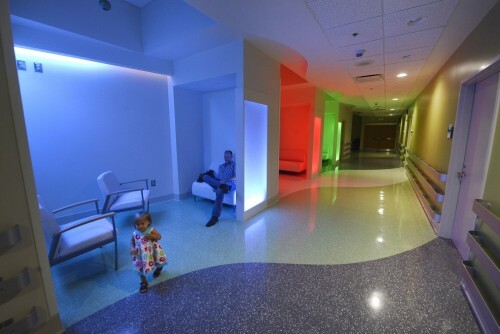 Families who prefer a more private waiting space may use the patient lounges inside the suite, where a series of cozy nooks are flanked with intimate seating and illuminated in varying colors of light. More intimate, colorful patient lounges are inside the suite. For fluoroscopy, the child gets to choose sound, too, such as waves crashing on the beach. “By giving the child the opportunity to choose color, lighting and sound themes, we put them in control of their experience. On top of that, all our imaging studies are performed using low-dose techniques, because it’s vital that we limit every child’s potential for radiation exposure. It’s great to have fun, but patient safety must come first,” Rawson said. Because the large machines used in radiology can be intimidating for a child, GRHealth worked with its alliance partner Philips Healthcare to install a Philips Kitten Scanner, a miniature simulated CT scanner, just outside the room that houses the actual CT scanner. 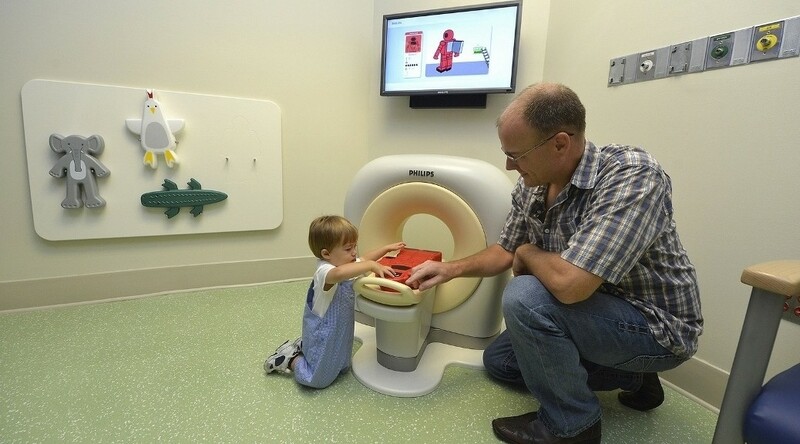 Children choose a character – a robot, elephant or alligator – to be a test patient. Then the child places the test patient on the table and slides the table through the Kitten Scanner. Since each character has a special chip inside, the scanner comes to life when the character slides through, and a voice from the machine explains what is happening during the mock exam. “Children get to learn about their test by scanning toys in a scanner, and it helps alleviate their fears of the larger machine once they see what’s going to happen when they are on the table,” said Rawson. Radiologists at CHOG say the Kitten Scanner has even helped cut down on the number of young patients requiring sedation for the CT scanner, another patient-centric benefit. They’ve also received feedback from families that the suite no longer feels like a hospital. The renovated pediatric imaging suite opened in stages over the summer, and there will be an official ribbon-cutting event with patients, families, and staff on Oct. 20. The 154-bed not-for-profit CHOG is the second-largest children’s hospital in the state, providing the highest level of pediatric critical care and neonatal intensive care, as well as a wide range of general and complex health care for children. CHOG was recently ranked as the nation’s best children’s hospital in quality and safety. Health Imaging magazine and HealthImaging.com provide business and technology news in medical imaging and healthcare information technology, radiology, cardiology, oncology, radiation oncology, nuclear medicine and molecular imaging. 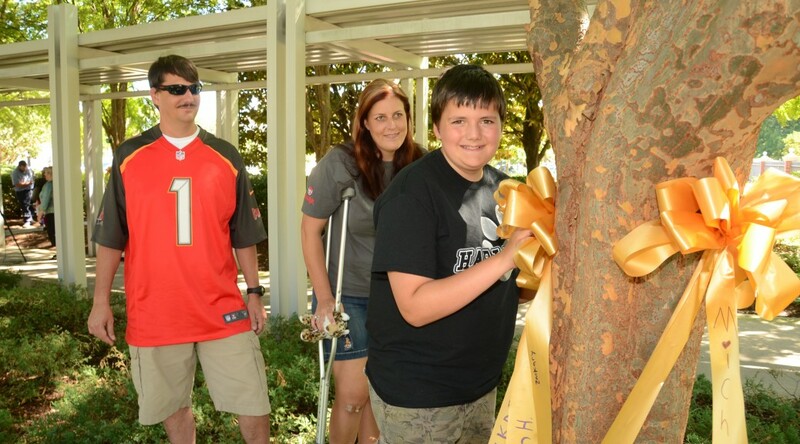 The magazine and website focus on economics, practice and informatics in imaging and are published by TriMed Media Group, Inc.
At approximately 3:30 p.m. on Friday, Aug. 28, pediatric cancer patients and their families will help hang gold ribbons on trees outside the Children’s Hospital of Georgia. The ribbons will be on display for the entire month of September, which is national Childhood Cancer Awareness Month. A representative from the mayor’s office is scheduled to attend with an official proclamation. CHOG offers the area’s only Pediatric Cancer and Blood Disorders Clinic, and it’s staffed with pediatric hematologists-oncologists, nurse practioners and other specialists who diagnose and treat children with hemophilia, leukemia, lymphomas, sickle cell disease, various tumors, rare pediatric blood and clotting disorders, bone cancers and more. The objective of Childhood Cancer Awareness Month is to put a spotlight on the types of cancers that largely affect children, while helping raise funds for research and family support. The ribbon hanging offers a great opportunity to see the children and families who benefit from that support. To donate to the pediatric cancer clinic at CHOG, please visit giving.gru.edu/CHOG. AUGUSTA, Ga. – Though it angered some when she got accepted into medical school, Dr. Martha Smith McCranie didn’t hold a grudge. “They thought we were displacing men who could work their entire careers, you know? 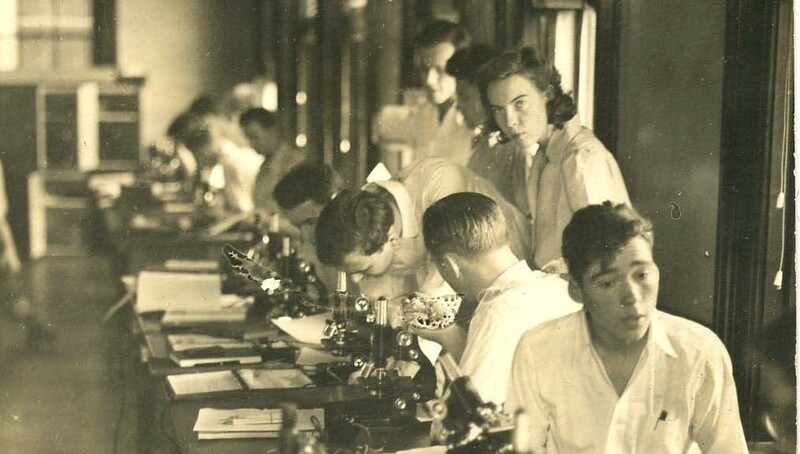 But I was not going to let that interfere with my learning,” said McCranie, one of just three women in the Medical College of Georgia Class of 1945. 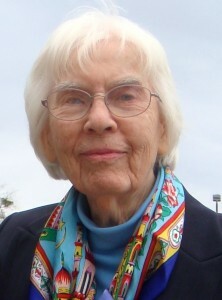 The late Dr. Martha Smith McCranie designated a $278,000 estate gift to CHOG. It was this kind of resilience that characterized the late McCranie, who died in January 2014 at age 92. It’s that generous spirit and a love for children that led the former pediatric psychiatrist to leave a $278,000 estate gift for the Children’s Hospital of Georgia. 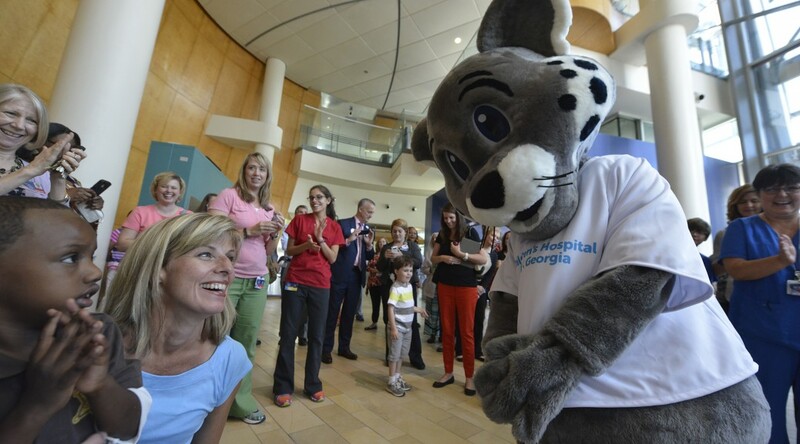 Georgia’s second largest children’s hospital, the not-for-profit CHOG relies on donations and other philanthropic support to provide specialized pediatric care for about 100,000 patients each year. CHOG is also the place where many of today’s MCG students at Georgia Regents University acquire clinical skills. 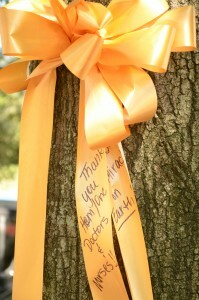 Originally, McCranie had planned to become a pediatrician. But after providing medical care and counseling support to American soldiers who returned from World War II, she changed her plans. “Seeing those veterans come back and the psychiatric problems they were having really changed me,” she told her granddaughter Katrina McCranie when the two sat down to document Martha McCranie’s life story several years ago. So McCranie put her skills to work with children as a pediatric psychiatrist. Being a female physician was very unusual at the time. On top of that, working in a field other than general practice, obstetrics/gynecology, or general pediatrics made her an innovator … but also an outsider. She recounted an experience she had while stitching up a man in the emergency room during an internship. The man was quite shocked. But every patient who was treated well by a female physician became a sort of spokesperson in society, McCranie recalled. McCranie also had an ally in fellow MCG classmate Dr. E. James “Jim” McCranie, whom she married. They moved around during the early years of their marriage before returning to Augusta, where Jim joined the MCG faculty in 1956 and served as professor and chairman of the department of psychiatry from 1958 to 1979. Martha McCranie took about five years away from medicine to give birth and care for the couple’s three children. But like a magnet, the attraction of medicine pulled her back in 1958. She gave it her all, devoting more than 20 years to patient care, teaching and community service before retiring in 1981. 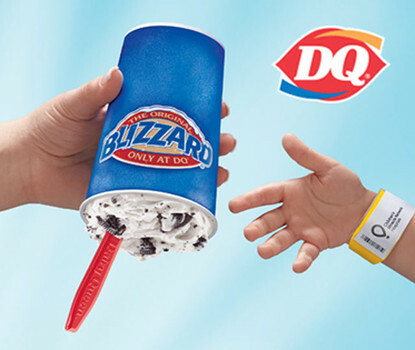 At least $1 from every Blizzard sold July 30 will go to Children’s Hospital of Georgia, the local CMN Hospitals beneficiary. AUGUSTA, Ga. – It’s summer again in the CSRA, and that means everyone is suffering the Georgia heat and could benefit from something cool and refreshing. 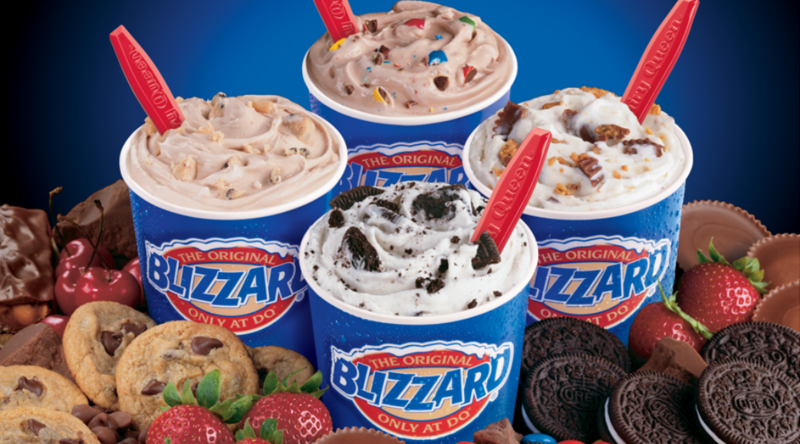 Lucky for us, local DQ stores will be serving their famous Blizzards on Miracle Treat Day, Thursday, July 30, with $1 or more from every Blizzard sold being donated to Children’s Hospital of Georgia, the local Children’s Miracle Network Hospital. In Swainsboro: 391 South Main St. In Waynesboro: 221 S. Liberty St. Miracle Treat Day is a CMN Hospitals fundraiser. CHOG, a not-for-profit hospital, has been a beneficiary of the CMN Hospitals program since 1986. Last year, local DQ stores raised more than $18,000 on Miracle Treat Day. The event lasts all day and group pre-orders are available. For more information, call Catherine Stewart, CMN Development Officer, at 706-832-1804 or castewart@gru.edu. The Children’s Hospital of Georgia welcomed its newest addition on Thursday. 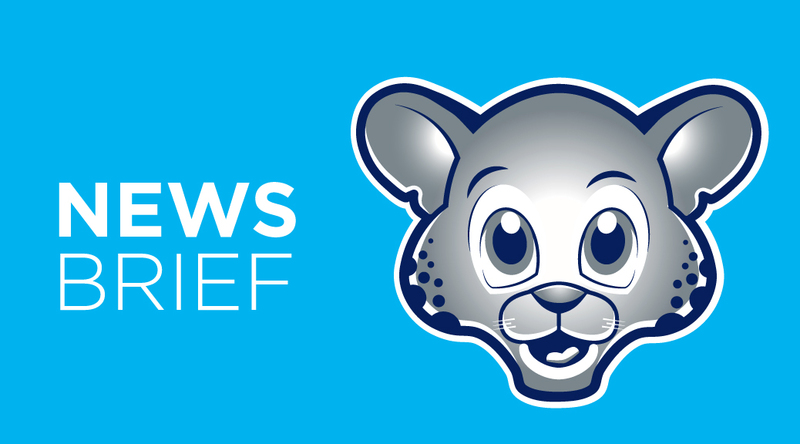 Roary, Chief Fun Officer of CHOG and the children’s hospital’s new mascot, made a grand entrance in the CHOG lobby to the applause of patients and caregivers alike. Roary’s arrival was preceded by a short video presentation explaining the hospital’s need for a baby jungle cat. “We need somebody fun, somebody with excitement, to liven up the children’s hospital,” said Jim Mumford, CHOG Administrator. And as simple as that, the decision was made. Peter Buckley, Dean of the Medical College of Georgia, said Roary’s hire was an exceptional decision. 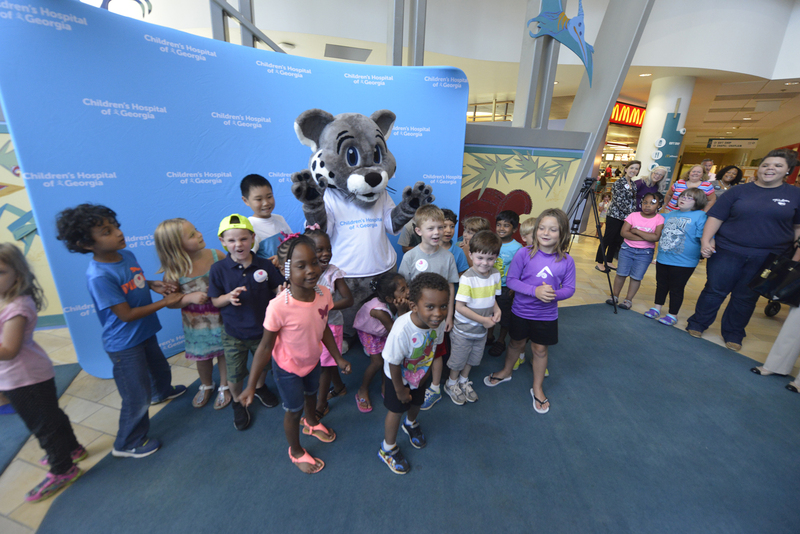 After a short flight to the children’s hospital, Roary introduced himself to the crowd gathered in the CHOG lobby and made his first official act as Chief Fun Officer: hugging and high-fiving dozens of excited children. Later, the baby jag retreated to his office/den to get some much needed rest. Roary’s hire and welcome ceremony would not have been possible without the contributions of several individuals. Roary would like to thank Kim Basso, Director of Pediatric Patient Care Services, Charlie Howell, Charlie Linder, Jim Mumford, Jared Bell, Video Production Coordination, and Tim Johnson, Video Producer. Roary would also like to give special thanks to Emily Renzi, his handler and trainer. To watch Roary’s video introduction, click here. To view a photo gallery of the event, click here. WATCH: Camp Lakeside: Coming Soon! Summer is a time for adventure, fun, and making memories. For a lot of kids, that means heading off to summer camp for a few days. But not all children are fortunate enough, or healthy enough, to enjoy those summer days with their friends. Now, with the partnership between The Family YMCA of Greater Augusta and the Children’s Hospital of Georgia at Georgia Regents University, children of all abilities can enjoy a wonderful summer camp in a safe environment. The YMCA has been a provider of summer and holiday camps since the 1940s. CHOG has a long legacy of caring for sick children and their families in the community. Together, these two organizations have begun renovating Camp Lakeside so it will soon be able to serve children with disabilities or serious and chronic health conditions in a medically safe environment. Activities that will be available at the camp include swimming, arts and crafts, disc golf, fishing, archery, kayaking, basketball, canoeing, and more! The camp will be an extension of the Family Y’s adapted program and will become the future home for CHOG special-needs camps. 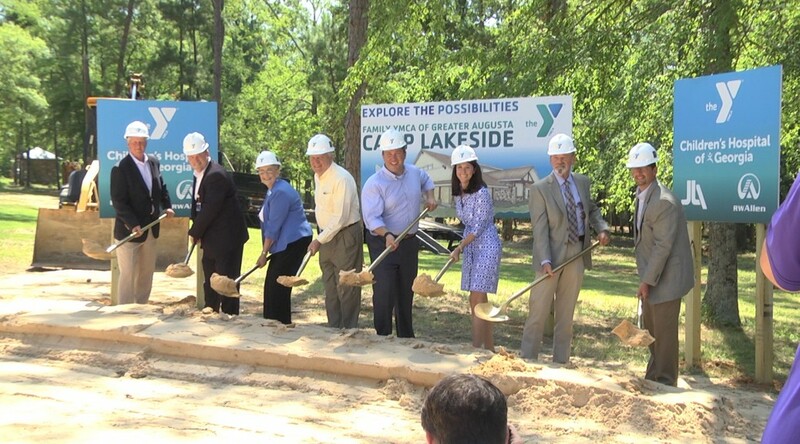 The groundbreaking ceremony for the “new” Camp Lakeside took place Monday, June 22, 2015. Phase 1 of renovation officially has begun and will include a multipurpose room/gym, medical facility, outdoor pool, and 10 adaptive cabins for the children. To learn more about other available camps, visit grhealth.org or thefamilyy.org. 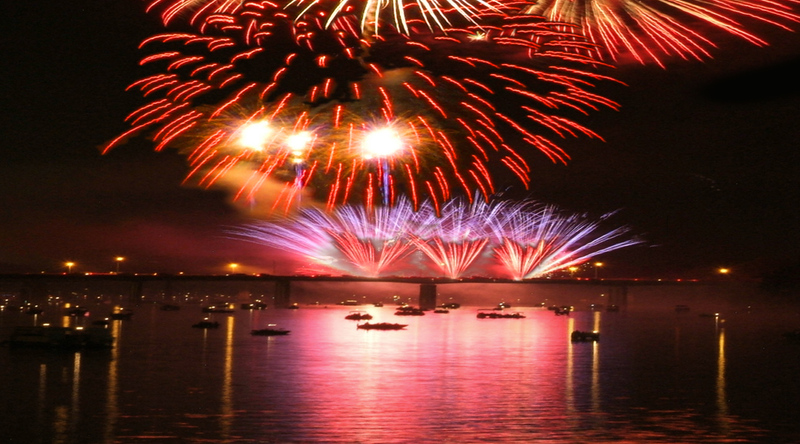 AUGUSTA, GA. – The Fourth of July is one of America’s favorite holidays. It’s our nation’s birthday, and most people like to top off the celebration with fireworks. Although fireworks are fun and colorful, they can be dangerous to everyone around. On average, about 200 people will go to the ER with fireworks-related injuries each day around the Fourth of July holiday, according to the Consumer Product Safety Commission. Always read and follow directions on the label carefully. Adults should always supervise young children when around fireworks. Even sparklers, which are assumed to be safe, should be supervised, as they can reach to 1000 degrees, and can cause severe burns. If a firework is deemed a “dud” after not going off once lighted, do not stand near it to see what’s wrong. Instead, wait 15-20 minutes; then put the “dud” out with water and dispose of it. Never shoot fireworks off in metal or glass containers. Instead light them outdoors on a smooth, flat surface away from homes, leaves, or other flammable materials. Always keep some type of water source on hand in case of fire. A large bucket of water or garden hose will do the trick. Light fireworks one at a time. Lighting multiple fireworks simultaneously could result in the person setting the fireworks to catching fire or being hit by a firework that goes off early. Do not use fireworks where prohibited by law. However, if they are legal in your area, be sure to buy them from a reputable seller. 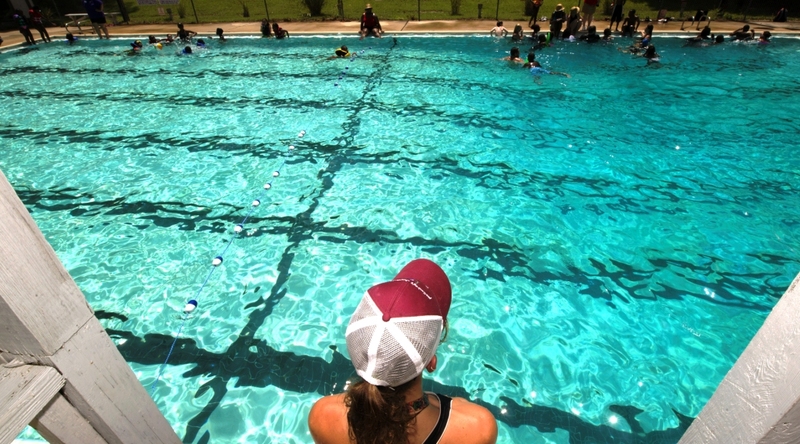 AUGUSTA, Ga. – Drowning is the number one killer of children under the age of 5. “What makes this statistic even more tragic is that these young children are more likely to drown in a residential swimming pool than in any other body of water,” said Dr. Natalie Lane, Medical Director of the Emergency Department at Children’s Hospital of Georgia. • Never leave children alone in or near the pool. • Children should be supervised by an adult who can swim. • Maintain a clear, unobstructed view of children at all times. • Do not substitute inflatable flotation devices for approved life vests. • Keep children from playing or swimming near pool drains, pipes and other openings. • After your family is done swimming, remove toys and floats from pool area that could attract children to the water. • Teach children how to swim; at the very least, they should learn basic water safety tips. • Parents and caregivers should learn CPR and rescue breathing. The key to better outcomes in near drowning is bystander CPR. • Don’t panic. If your child is missing, look for him or her in the pool first. • Formulate an emergency action plan with your children and rehearse each family member’s role. • Keep a phone available at the poolside in case of emergencies. • Install a self-latching and self-closing fence around the pool area. Fences should be at least 4 feet high. • A safety cover should be placed over the water area when the pool is not in use. • Keep rescue equipment and emergency phone numbers poolside. • Install a pool alarm to alert you when children are near the water. • Have a qualified professional inspect drain suction fittings and covers on a regular basis to ensure they meet current safety standards. Swimming provides great fun and exercise for kids. But always remember to play it safe during pool time.